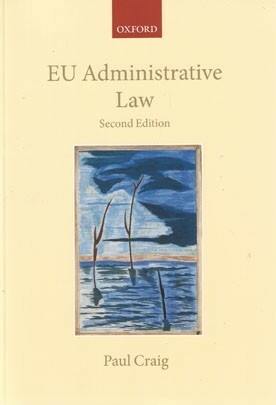 The second edition of EU Administrative Law provides comprehensive coverage of the administrative system in the EU and the principles of judicial review that apply in this area. The chapters in the first half of the book deal with all the principal variants of the EU administrative regime. Thus there are chapters dealing with the history and taxonomy of the EU administrative regime; direct administration; shared administration; Comitology; agencies; social partners and the open method of coordination. The coverage throughout focuses on the legal regime that governs the particular form of administration and broader issues of accountability, drawing on literature from political science as well as law. The focus in the second part of the book shifts to the principles of judicial review. There are detailed chapters covering all principles of judicial review and the discussion of the law throughout is analytical and contextual. The discussion in this part of the book begins with a chapter that considers the principles that have informed the development of EU judicial review. This is followed by a chapter dealing with the judicial system and the way in which reform could impact on the subject matter of the book. There are then chapters dealing with competence; access; transparency; process; law, fact and discretion; rights; equality; legitimate expectations; two chapters on proportionality; the precautionary principle; two chapters on remedies; and the ombudsman. The book paints a comprehensive picture of administrative law as it exists in the EU today. Readership: Academics, scholars, graduate students, and policy makers working in the field of EU administration. Professor of English Law, University of Oxford.